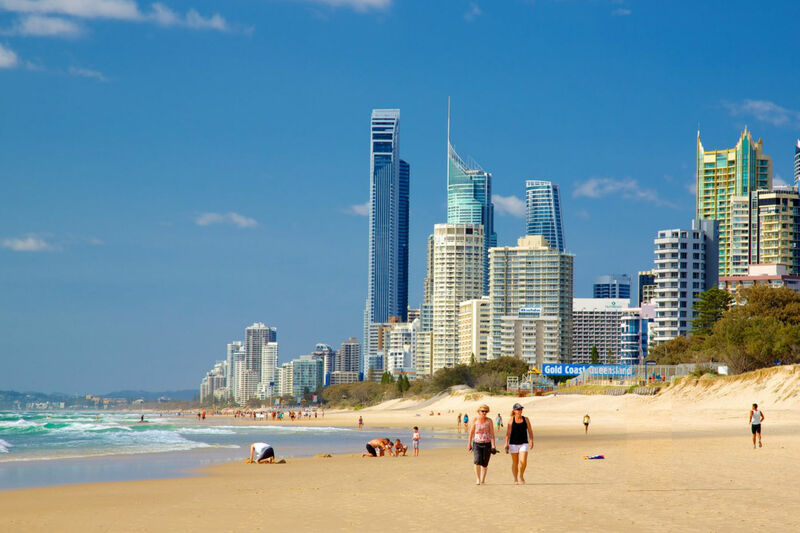 There are several Gold Coast attractions available for every vacationer to enjoy but there are none that are as creative or as bizarre as the Infinity Fun House located on the ground level of the Chevron Renaissance Centre in Surfer’s Paradise. It’ll blow your mind, you’ll be mesmerized and you’ll loose yourself in the mysteries that the fun house has to offer. 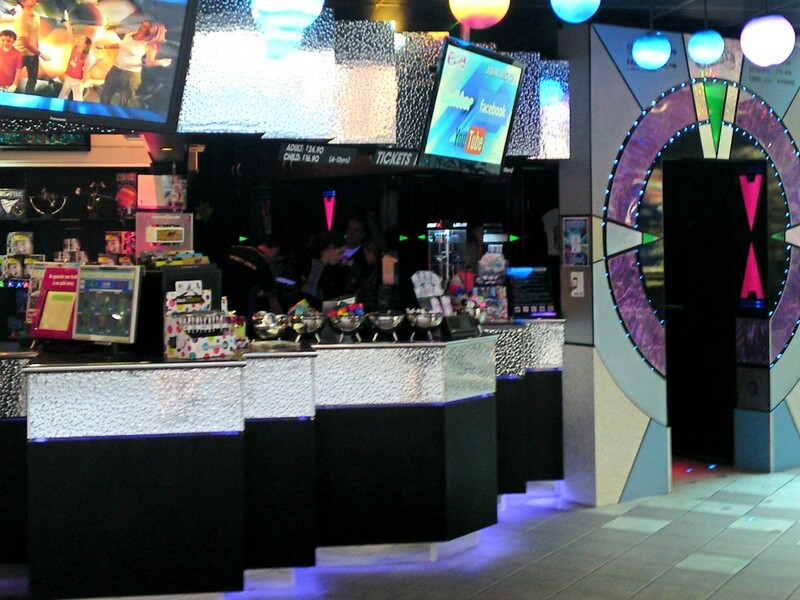 Once you step in, you’ll feel like you’ve been transported to another dimension! Sounds fun, doesn’t it? What type of Fun House is it? The entire fun house is a maze composed of 20 multisensual environments. The futuristic light design, atmospheric sounds, groovy music and other special effects will fool your mind and boggle your senses into thinking that you’re on your way to infinity. 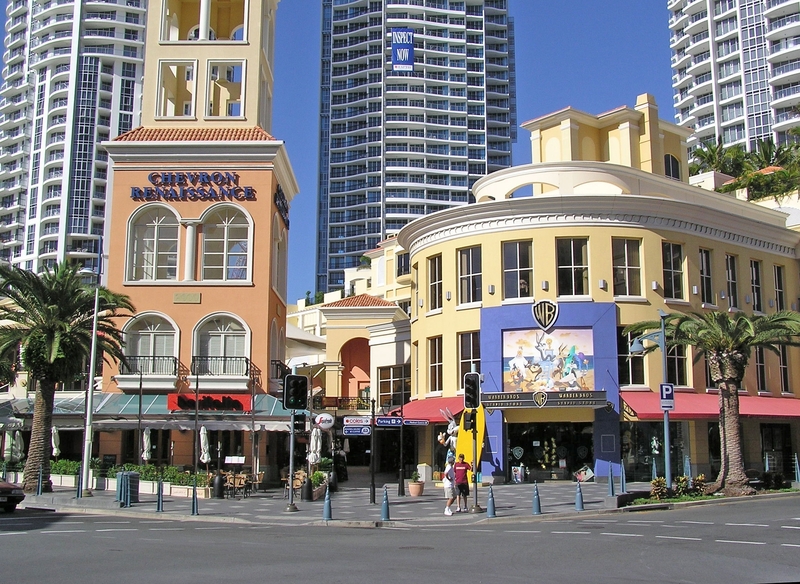 The exact address that you’re looking for is 3240 Surfers Paradise Boulevard, Surfers Paradise. From there, it’s easy to spot the Chevron Renaissance Centre. When you do you’d have to find shop 31 (Infinity Fun House). 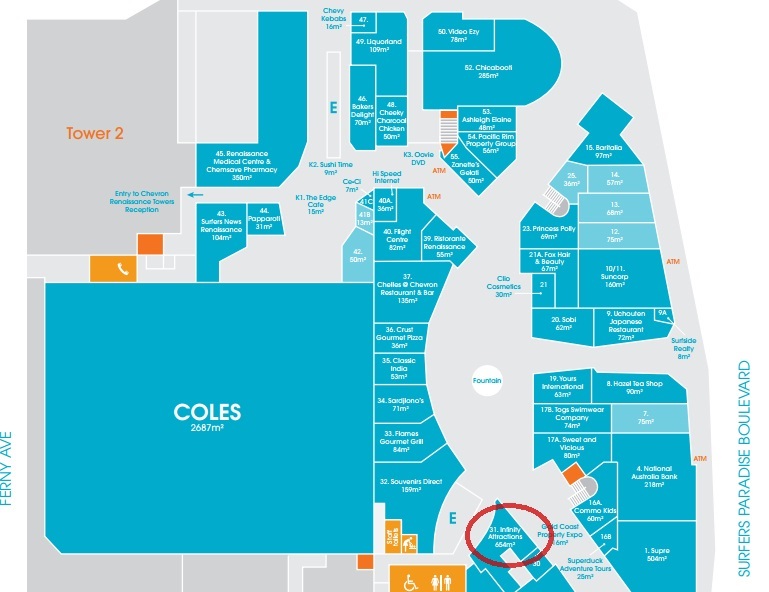 You could walk around to see the other shops, better yet, refer to the mall map below to see exactly where you can find the fun house. According to the website, prices start at $16.90 for children aged 4-13 years old. 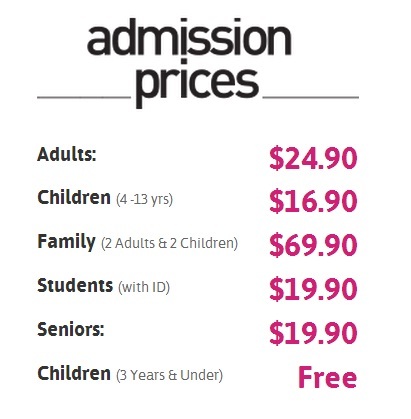 They also have a family deal price of $69.90 which admits 2 adults and 2 children. To save a few bucks, you could purchase your tickets online. They slash around $1-$4 off the regular price when you reserve tickets online. 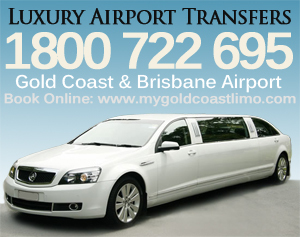 They also have a variety of packages for groups or parties. You can inquire of their group/party rates here. Does Infinity have a souvenir or a gift shop? Yes they do and they sell unique items that are equally as bizarre as the fun house. Check out their gift shop for gifts that stimulate your mind and imagination. Some of their merchandise include plasma and lasers, clocks, designer lamps, homewares, novelty items, puzzles and many more. All of these are available for online purchases. Aside from the merchandise available at the gift shop, you can also purchase souvenir photos for $7.50. All you have to do is visit the Infinity website and enter your photo code. Infinity assures their visitors that the fun house wasn’t designed to scare or frighten but they do understand that there’s a small percentage of the population that has a fear of darkness so what they suggest is to purchase glow sticks before entering the maze. The attraction is not advisable for children (or maybe even adults) that have an unusual fear of darkness. Children that are younger than 8 years old must be accompanied by an adult/guardian. Food, drinks and animals are not allowed inside. Lockers are available to store your belongings. Read the rest of their entry conditions here. 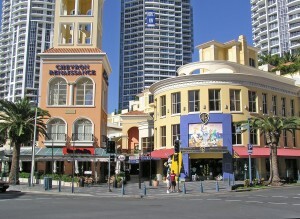 They’re open from 10am – 10pm daily.